Ottumwa Iowa, a city of 25,000 is located in southeastern Iowa and is split in northern and southern halves by the Des Moines River. Large deposits of coal and clay played a major role in the city’s industrial development when it was first established. In fact, coal mining was so important to the people of Ottumwa that in 1892 they built the Coal Palace exhibit. Ottumwa is also known to be a place that many presidents have visited, including: Benjamin Harrison, Theodore Roosevelt, Harry Truman, Richard Nixon, and Barack Obama. Residential Homes: Custom homes in Iowa are in high demand. Greiner Buildings uses post frame construction to build homes that are cost-effective, beautiful, and long lasting. We specialize in customization and are ready to build anything that you can dream up. Let us build your dream home in Ottumwa, IA. Cold Storage: Cold Storage Units are a valuable asset to any property. Greiner Buildings can build one for you of any shape or size. We promise that they will be durable and low maintenance, a convenience for your home or business. Cattle Sheds: If you are a farmer in Ottumwa, IA, your cattle is an important asset to your livelihood. In order to keep them dry, comfortable, and safe throughout the year, Greiner Buildings can build a custom cattle shed that suits all of their needs. Our buildings provide great insulation, spacious rooms, and easy access for your cattle. Horse Barns: If you are a horse owner in Ottumwa, IA, Greiner Buildings can build you the perfect equestrian building. We specialize in constructing custom horse stalls, as well as stall barns and riding areas. Commercial: Greiner Buildings provides 3D and 2D CAD design as well as several stylish yet inexpensive options for your Ottumwa, IA commercial building. Hobby Shop Buildings: If you have a hobby that you are passionate about, yet don’t have a venue to do it, Greiner Buildings has the perfect solution to you. Whether you are an artist, mechanic, or craftsman, we can build the perfect custom hobby shop to help you flourish in doing what you love. 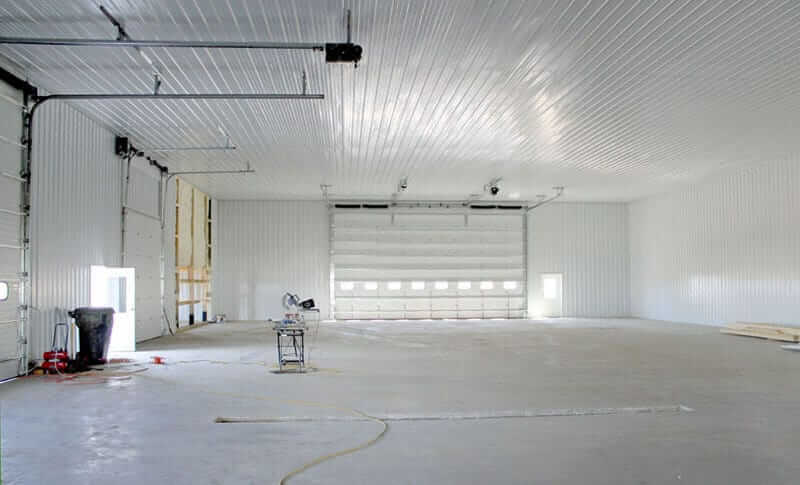 Insulated Shops: Shops by Greiner Buildings are always professionally lined and insulated to ensure that you and your equipment are kept safe and dry throughout the year. Machine Sheds: With incredible durability and unmatched security, our machine sheds are the best around. No matter how big or small, we can build the perfect shed for your machinery and equipment. Mini Storage: Mini storage is an important unit to have, especially if you own a business. You can rely on Greiner Buildings to construct you a mini storage unit that is perfect for your needs. If you have any questions about pole buildings in Ottumwa, IA, don’t hesitate to call Greiner Buildings today. We are excited to work with you!